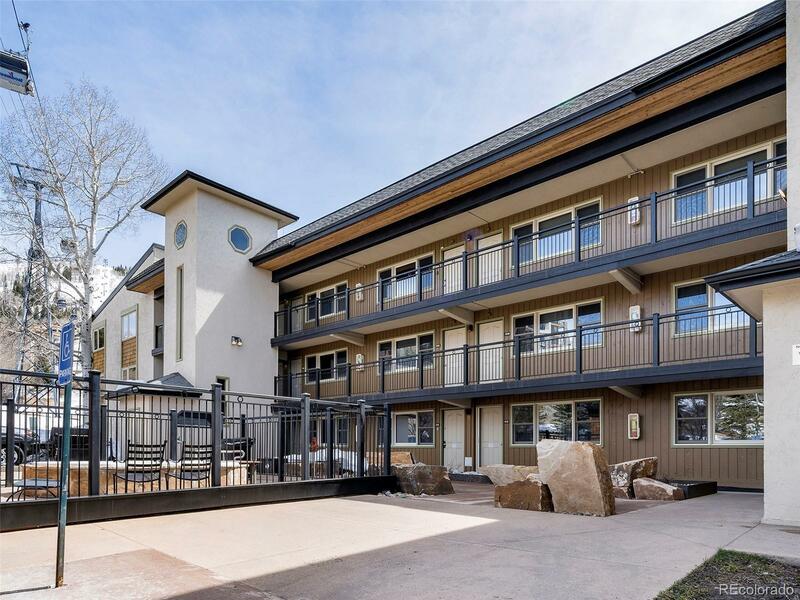 This adorable 2 bedroom, 2 bathroom, ground floor unit at Ski Trail Condominiums, sits right under the Steamboat gondola, and has great ski-in-ski-out access to the resort. The master bedroom is quite large; spacious enough for a king size bed and has space for a large dresser in addition to the closet. This complex has concrete flooring between each story, so the ground floor unit is very quiet. The second bedroom has large windows, getting great natural light during the day. The kitchen is well appointed and makes good use of the space. The open living room has dining space for a rather large table, making family time or entertaining easy.